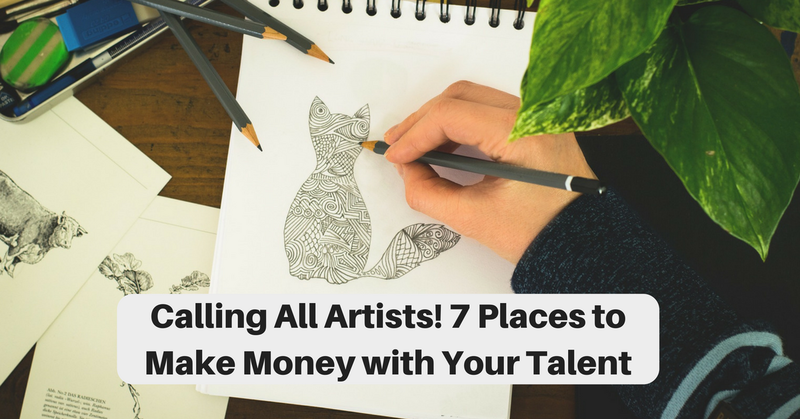 If you’re an Artist or Illustrator, here are seven companies that want to see (and maybe buy) your work! Be sure to check our BIG LIST for even more opportunities for the artistically-inclined! Avatar Press is always looking for talented freelance artists, and often has a range of work in a wide variety of subjects and genres available. If you have a web page or online gallery of your work available, sending Avatar Press editor-in-chief William Christensen a link to that is generally a good place to start. Emailing a few graphics is also okay, as long as the file size is not too large to start with. The continued search for artists to join the talented group of creators we work with for a number of upcoming projects is an important priority at Avatar. To be considered for a freelance opportunity, please send us a digital portfolio of no more than twenty low-resolution images or a link to your online portfolio. Also, please include a resume and any additional information about your related professional experience. Easter 2019: Traditional, contemporary or whimsical Easter subjects, such as Easter Eggs, rabbits, florals, baskets, springtime scenic, or religious and Christian icons or symbols (church, cross, Jesus, shepherd, sheep, etc.). Submission deadline March 26, 2018. Sea Cove Gallery: Coastal imagery, including ocean scenic, boats or boating scenes, marine mammals and coastal wildlife, beach scenes, lighthouses, birds, tropical icons, beach attire, fish, coastal lifestyle scenes, golf, fishing, etc. Whimsical, serious, or fine art styles are appropriate. Submission deadline March 26, 2018. Southwest: Images that are representative of the culture and lifestyle of the southwestern U.S., i.e., southwest wildlife, scenic landscapes, florals, desert, Kokopelli, cactus, roadrunners, chilies, etc.). Submission deadline March 26, 2018. Enchanted Universe: Mystical or fantasy-themed images, or spiritual/inspirational images, such as angels, fairies, mermaids, unicorns, goddesses, and other spiritual icons. Submission deadline March 26, 2018. Gallery of Horses: Equine imagery depicted in a variety of settings and art styles, including Western and English horses and riding styles, and all varieties of horse breeds. Selected images are typically active, relational images of horses in movement, or interacting with other horses, cats, dogs, or nature. Submission deadline April 23, 2018. In their words: We are looking for fresh and fun-looking artwork in any media and style. Also, sophisticated, funky cartoony-type art (people and/or animals) with or without words. All work is speculative, so put your greeting cards ideas in rough sketch form. Be sure to include printed samples or tearsheets. If possible, you can provide us with a sample which we can keep on file for future assignments. Customers can browse hundreds of custom tattoo designs submitted by our designers. Each tattoo design can be purchased and printed out instantly. Artists get paid a 75% commission on every sale! Customers host their own custom tattoo design contests. They post a description and tattoo artists compete to design the perfect custom tattoo. At the end of the contest, the customer selects a winner and the artist gets paid the prize. In their words: We are currently seeking art submissions for book covers and dust jackets. In their words: Our print publication pokes fun at politics, news, relationships, food, technology, pets, work, death, environmental issues, business, religion (yes, even religion) and the human condition in general. Not much is off limits, so do your best to make us laugh. Plus we’re advertising free, so whatever we like, we use. Cartoons should be hard-copy printouts of high-res images (please don’t send your originals … we’re awfully clumsy with our coffee). We accept both single and multi-panel formats, color and black & white, though reproduction is nearly always in black and white. For more jobs like these, be sure to see our Newest Jobs & Gigs page. We post new jobs and side gigs every morning except Sunday. To be the first to hear about jobs like these, like our Facebook page. Good luck! This entry was posted in Artistic Jobs, Earn Extra Cash, Work at Home Jobs. Bookmark the permalink. ← $9 – $30/Hr Working With Working Solutions – Various Roles Open Now!